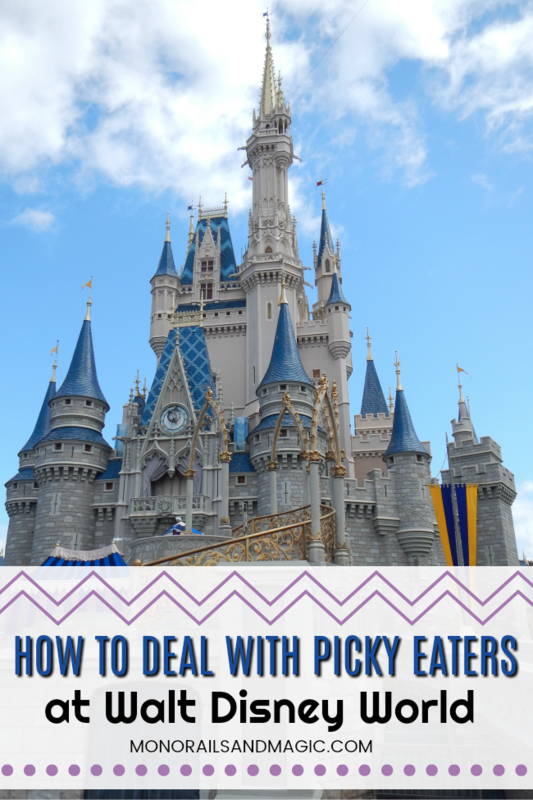 Do you have anyone in your immediate family who is a picky eater? Maybe it’s a child, your spouse, or even yourself. Then you know that finding something to eat when out and about can be a challenge. 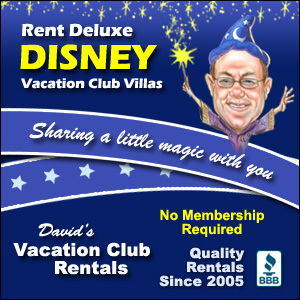 Especially when you are somewhere with many, many choices, like Walt Disney World. Fortunately, there are ways to make your next trip with picky eaters much easier. I am somewhat of a picky eater. My husband is very picky but, since he’s an adult, he is willing to try new foods. My boys are a different story. They are now eight-years-old and VERY picky eaters. And, of course, they like and dislike different things, which makes planning meals at theme parks loads of fun. 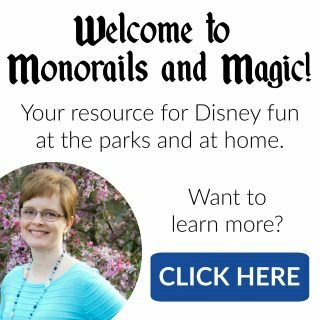 Before our first family trip to Walt Disney World in 2013, I came up with a plan that I hope will help you too! 2. Look carefully at the table service menus BEFORE you make your dining reservations. Since you typically make these reservations several months ahead, there is plenty of time to take a look. There are so many amazing table service restaurants, but you can’t just make a reservation at a restaurant because it sounds interesting. The last thing you want is to make the effort to get a reservation, only to discover as you sit down to eat that there is nothing on the menu for your picky eater. For example, I would love to eat at the Biergarten Restaurant in EPCOT because of the atmosphere, but there is absolutely nothing on the menu that my boys would like. So, for now, I will be making reservations elsewhere. 3. Look carefully at the quick service menus BEFORE your trip and make notes. Lots of them. When you are in a park and it’s lunchtime and everyone is starving, the last thing you want to do is randomly pick someplace to eat. You run the risk of unhappy, hungry eaters. I make a spreadsheet of all of the quick service restaurants, broken down by park and even area of the park. I make notes about what each restaurant has that would fit our needs. I then print it out and carry it with me every day on our trip. Then, no matter where we are, I can take a quick look and see where we should eat. 4. Remember that you are on vacation. You probably won’t be able to give your family three balanced meals and healthy snacks every day. You can certainly try, but it’s ok if it doesn’t happen. If everyone is happy and has something to eat, it’s a good day! Not going to lie…we are that family that walks in to our table service reservation carrying a hot dog for our son on occasion! Luckily he isn’t too picky, but there are days he is more stubborn than anything else. We find that by familiarizing ourselves with the menu we can avoid a late-afternoon meltdown if there isn’t anything of interest for him and can just grab a hot dog. I can tell you my husband spends hours scouring menus to make sure everyone has something they will eat on the menu. We aren’t perfect all of the time but at least we have a fighting chance. It really helps knowing what to expect when you walk into the restaurant. 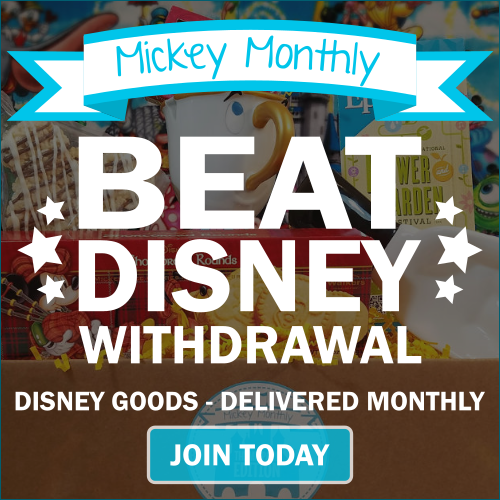 There are so many at Walt Disney World that you need to plan a little. I love the spreadsheet you shared in your video! That is such a great idea! 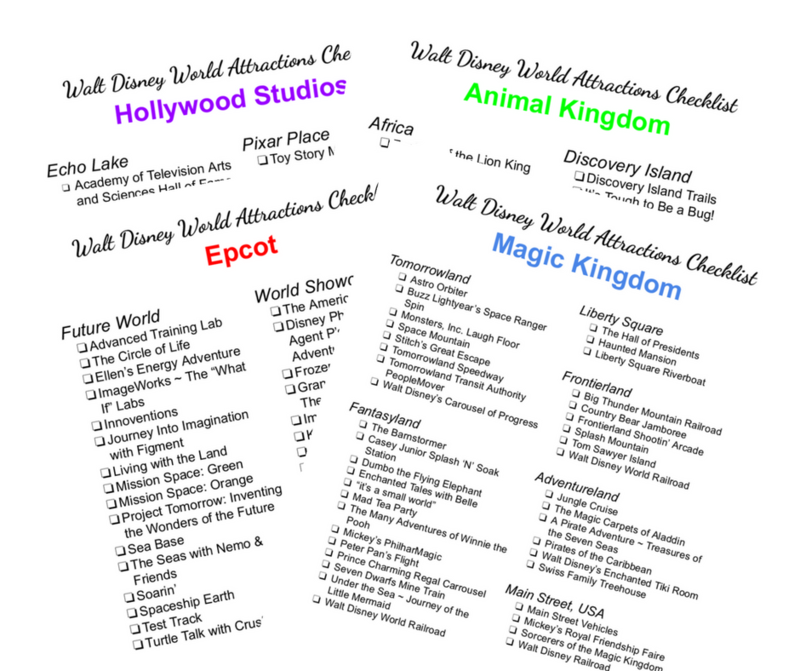 On our last trip, we wanted quick service at MK and had a hard time deciding where to go. After deciding on a restaurant, we arrived and our picky eater (a.k.a. me) decided she didn’t want anything from there after seeing the menu. A spreadsheet like this would have been great to have! Thanks, Kimberly! I hope it will make your next trip a little easier. I love eating at Disney. You can find so many different options and even try out new foods around World Showcase. I love World Showcase too! I’m hoping my boys will enjoy more foods as they get older, so I can spend more time there. When just Ashley and I went last fall, it was fun to be able to try some new places that we wouldn’t typically eat as a family! So many different tastes in food can be a challenge! I’m sure you and Ashley had a wonderful time experimenting.